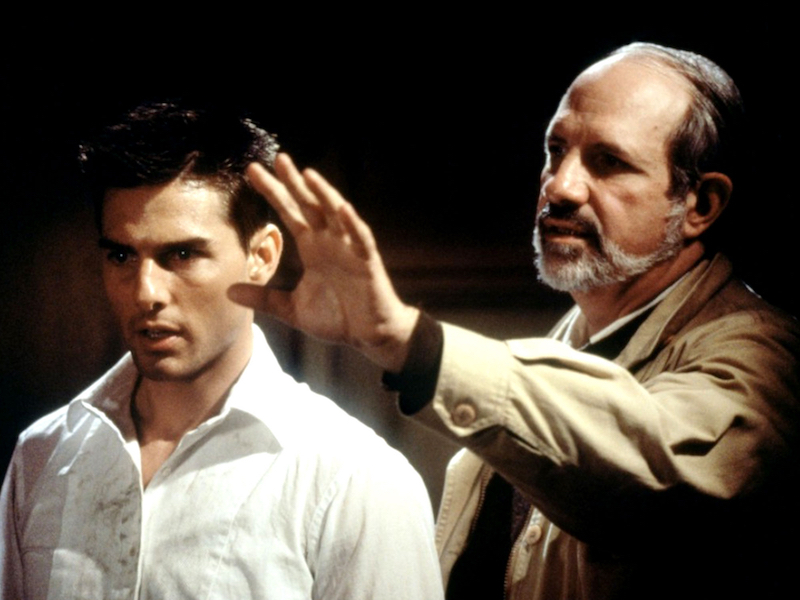 For almost 50 years, filmmaker Brian De Palma has carved out his own signature style of sensationalism that has led to commercial hits (The Untouchables, Mission: Impossible), critical duds (Mission to Mars, The Black Dahlia) and others that found success further down the road (Scarface, Carlito’s Way). No matter what kind of movie he’s making, there’s never a doubt that everything he wants you to react to is right there on the screen. This kind of visceral approach can be thrilling in the moment and in De Palma’s case, produce some classic cinematic sequences but it doesn’t always leave much for the audience to look for under the surface. Directors Noah Baumbach and Jake Paltrow seem to have lifted this ethic from their subject when making their new documentary De Palma about the director’s life and career. During their two-hour interview in which each of his films are discussed at varying lengths, there are plenty of great on-set anecdotes and enlightening bits of commentary about the film industry but not enough glimpses of introspection that might give us insight to his way of thinking. The end result is something a bit more shallow and matter-of-fact than it could have been but still worthwhile for those interested in digging into De Palma’s filmography. Anyone familiar with his work can tell you how inspired he is by Alfred Hitchcock and I admired how Baumbach and Paltrow framed De Palma’s guiding principle of cinema as voyeurism from his first viewing of Vertigo in 1958. The act of “spying” as it correlates to an audience watching a movie is covered most clearly in Rear Window but De Palma argues that the subtext of Vertigo is just as relevant to how people consume films. Much in the way that Scottie works to transform Judy into his idolized image of “Madeleine”, we seek meaning in the characters that are presented to us by projecting our own experiences and values onto them, whether they truly apply or not. After this introductory analysis and some biographical notes about his early life, the film then goes through the movies that De Palma has made through the years and some summarizing thoughts from the director on each work. Rather than making this a traditional talking head documentary with opinions from others on his work, the form is kept more candid and personal by allowing De Palma to talk through his own experiences with each project. However, it does make me wonder if some outside perspective could have allowed the filmmakers to dive deeper into the thematic strands of his work, as there isn’t as much connecting tissue between his films as I would have liked to have seen. I confess I haven’t seen of the majority of the 25+ films covered in this documentary (Blow Out piqued my interest more than any other) but after seeing all of these clips together in one sitting, I’m eager to visit and re-visit the director’s work. De Palma may not be a “consensus” filmmaker but his divisiveness is clearly an integral part of what’s kept him around all of these years. It’s fitting, then, that I may have a mixed opinion on De Palma the documentary as I do De Palma the movie maker. 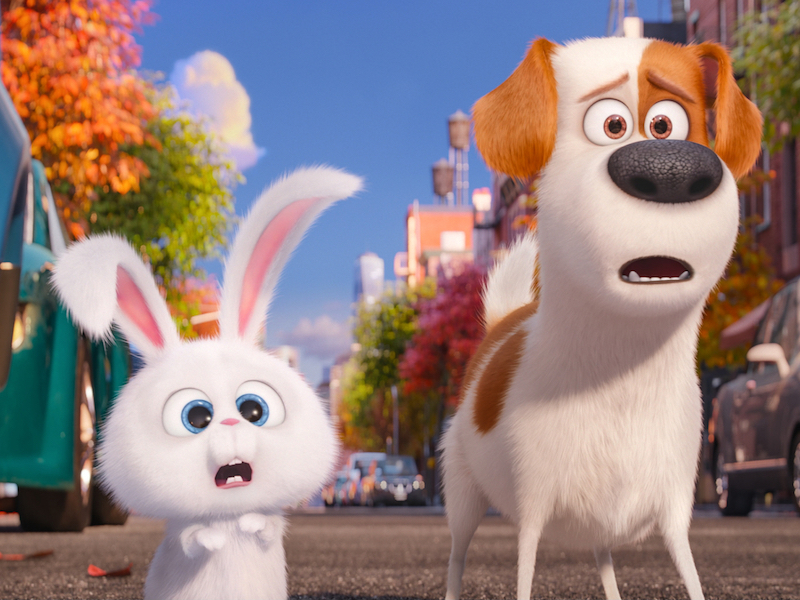 The Secret Life of Pets, the new comedy from Illumination Entertainment, is about as fluffy and light and inconsequential as animated filmmaking gets. 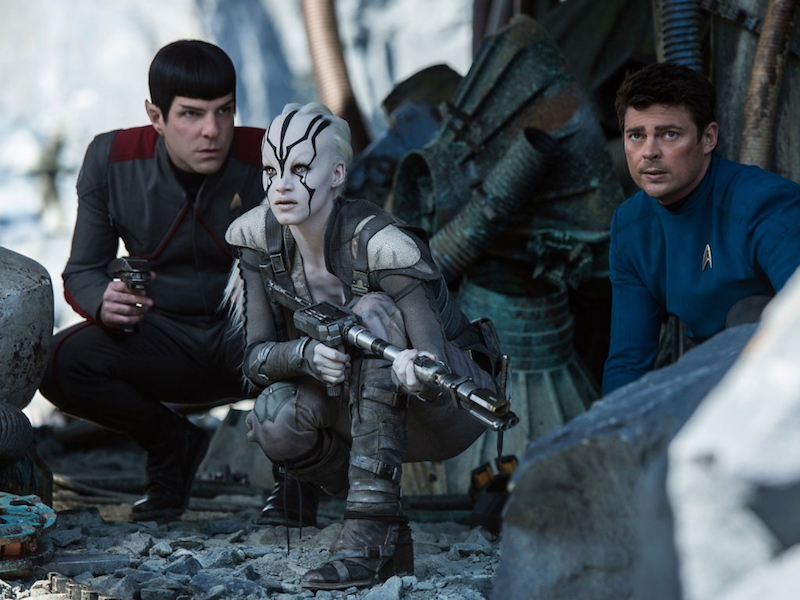 The stakes are uniformly low, the conflict is kept to a minimum and with the runtime coming in right at the 90 minute mark, the pace is fittingly breezy too. 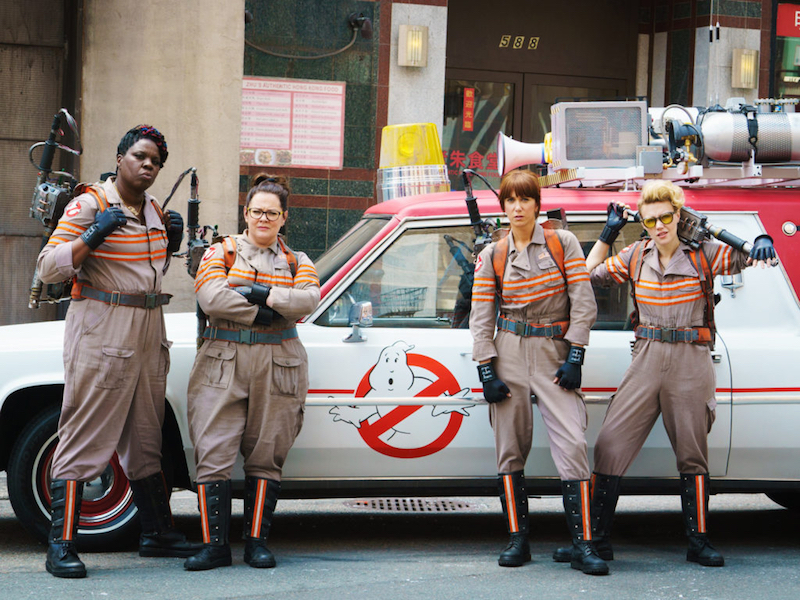 For some, this movie may seem too shallow and well, childish, but in a year where Disney has chosen to explore more mature themes in features like Zootopia and Finding Dory, a bit of old-fashioned, mindless fun turns out to be a nice change of pace. The story centers around a loyal terrier named Max (Louis C.K. ), whose pampered life is turned upside down when his owner adopts a boisterous and gigantic Newfoundland named Duke (Eric Stonestreet). After a day at the dog park goes wrong, the two are picked up by Animal Control but are aided in their escape by a deceptively cute rabbit named Snowball (Kevin Hart) and his team of rogue, abandoned pets. Meanwhile, a band of pets from Max’s building pool their efforts to scour the streets of New York City in an attempt to find the two lost dogs and bring them home safely. Much like Illumination’s previous film Minions, Pets opens with a clever and engrossing montage that was covered a bit too thoroughly in the advertising previous to its release and feels a bit spoiled as a result. Still, it serves as a reliable framework and fitting introduction to the myriad of pet characters that exist in the giant apartment complex. Each pet really only has enough screen time to embody one or two personality traits (a Pomeranian named Gidget, for example, is a hopeless romantic who harbors feelings for Max) but much like the movie’s story and tone, the characterizations are appropriately nonchalant. Though the characters aren’t as fleshed out as they could be, a stellar voice cast that also includes Dana Carvey and Albert Brooks bring a tremendous amount of heart and energy to their collective performances. Speaking of heart, this is already Kevin Hart’s third movie released this year (Chris Rock even had a joke in the Oscars back in February about how many movies he does) but he proves again why he’s such a sought-after comedic talent. He brings the same manic charisma to his voiceover work here as he does for his live-action roles and the film is all the better for it. This also marks a significant bump up in animation quality for Illumination as well, whose previous work was certainly serviceable in that area but not usually considered a focal point of their brand. Here, the setting of New York City in autumn leads to an animation design that’s crisp and vibrant, filled with all sorts of rich detail that’s always pleasing to the eye. Much like the simple comfort of cuddling with a loving dog after a long day at work, The Secret Life of Pets is a welcome distraction from the increasingly troubled world in which we live. By now, the outrageous sexting scandal that turned former New York Congressman Anthony Weiner from promising mayoral contender to political pariah has been covered so ad nauseam from the mainstream media, it’s hard to believe that there’s much more left to discover. His name has served as a punching bag for comedians and pundits everywhere but it seemed only inevitable that the details of the story would get buried under torrents of pun-laden headlines. The fascinating fly-on-the-wall documentary Weiner by Josh Kriegman and Elyse Steinberg provides unprecedented access into just how tumultuous the ordeal was not only for Weiner’s personal and political life but for those closest to him as well. After a lascivious Twitter photo forced Weiner to resign from Congress in 2011, his camp’s reaction was to lay low with the hopes of making a strong showing in the upcoming 2013 election for New York Mayor. The film charts his improbable rise to the top of the polls, bolstered by New York citizens eager to give the disgraced statesman a second chance despite underlying issues of trust and credibility. Just when it seems that a true comeback story is underway, the second wave of unsavory personal texts and photos emerge and send his campaign into a death spiral from which it would never recover. Much like the coverage of the scandal that came to define its subject, this film has the sort of compulsively watchable, train-wreck quality to it that will no doubt have audiences wincing, gawking and nervously chuckling all at once. But because the scope is so focused on Weiner and his hopelessly outmatched campaign staff, it rarely comes across as sensationalized as the media scrutiny that is itself reflected in the story as well. All of the small moments of triumph and tragedy still feel personalized enough to retain the human scale of this unmitigated political disaster. Much of this is encapsulated by the tense and often terse interactions between Weiner and his wife Huma Abedin, herself a longtime aide to Hillary Clinton with plenty at stake in her political career. The layers of pain and humiliation that she attempts to conceal not only from the news cameras but also from those filming her for the documentary is nothing short of heartbreaking. It’s fair to speculate why Abedin, having been put through such public indignation, would not only stay with Weiner but also take such an active role in trying to get him elected. Late in the film, one of the documentarians literally asks its subject “why are you letting me film this?” It’s clear that Weiner doesn’t have a compelling answer. Is it because he’s a rampant narcissist, desperate for any means of attention, no matter how humiliating? Is it yet another political play, with the hopes that a “warts and all” approach will persuade future voters? Weiner doesn’t have overt answers to any of those questions, which may frustrate viewers who expect a condemnation or exoneration of its subject but should delight anyone seeking a compelling character study of a potentially unknowable public figure.